We have a lot of affection for Aparna Nancherla here at The A.V. Club. That’s, at least in part, because she’s a veteran of our annual comedy festival. But there’s also something about her pithy observational style, her ability to seize any concept and take it on a droll, disarmingly deadpan flight of comedic absurdity with clear-eyed honesty and a healthy dose of the existential jitters, that speaks to our sensibilities as well. There’s a lot for Nancherla to be cautiously optimistic about this year: First of all, she’s coming off of her biggest TV role yet, that of downtrodden human resources manager Grace on Comedy Central’s Corporate, which was recently renewed for a second season. (You may also recognize her as the voice of Hollyhock on the most recent season of BoJack Horseman, or from her appearances on Crashing, High Maintenance, and Master Of None.) Her stand-up schedule has also been incredibly busy, including a recent appearance on one of HBO’s 2 Dope Queens specials and her own half-hour special debuting on Netflix on Tuesday, March 20. 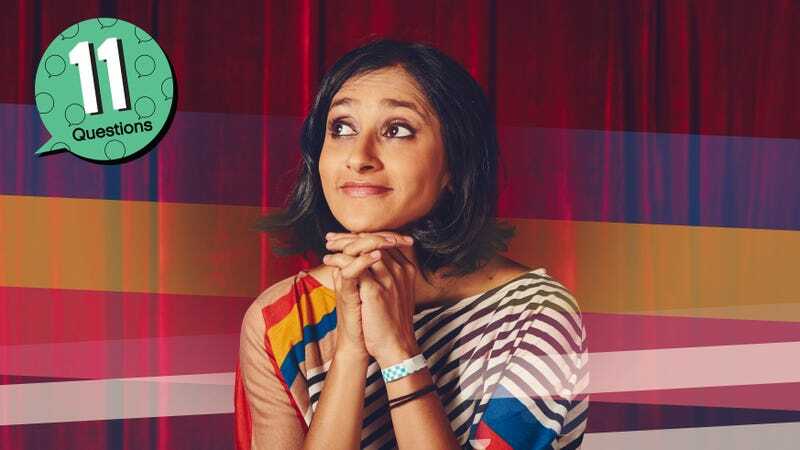 She’s also got a tour, “It’s Me Again: An Aparna Nancherla Tour,” planned for this fall. (You can see those dates and buy tickets here). We talked to Nancherla the week before her special premieres as part of Netflix’s The Standups series, and she answered our 11 Questions with all the thoughtfulness and understated charm we’ve come to expect. Aparna Nancherla: I’m going to go sincere on this one and say the National Student Walkout. A bunch of kids walked out of school to protest gun violence, and I think that is pretty inspiring. It gives me hope for the future and hope for the next generation in terms of enacting positive change, in a non-cynical way. The A.V. Club: Yeah, I went past a walkout on the way to work and it was pretty uplifting. AN: I also realized it’s National Pi Day. I don’t know if there’s any overlap, but they deserve pie for walking out, if nothing else. AN: I’m going to go the opposite with this question. I did this food diary once—New York magazine[’s Grub Street section] has a weekly food column where they pick somebody to cover what they ate for a week, and I did it just for fun. It just seemed like a fun thing to catalog, and I really didn’t think anyone would read it. And then, for some reason, Tom Hanks the actor person read it and then tweeted about it. I feel like that’s the inverse of that question, because that is the last person I would have suspected would read a random food blog entry. AVC: I know he’s into typewriters, but I didn’t realize he was also into food blogs. AN: I know. I feel like his mystery and mystique never ends. I think it just goes to show, you never know who will find something that you thought very few people would find. AN: I think the first album I ever got was a cassette tape of The Sign by Ace Of Base. My family was on a road trip and we stopped at some rest stop, and they just had a bucket of tapes, and my sister and I were each allowed to pick one. I think that was what I decided to go with. AN: I knew about the song “The Sign,” which was very popular at the time, and I was like, “I’m good. I feel like I can commit to an entire album just based on that song.” I guess that’s the purpose of singles, but it was the first album [I ever got]. I do feel like I discovered music later than the average kid. I don’t know how old I was, maybe 8 or something, but it felt late compared to other people. I remember specifically learning about music via the radio station. AVC: I don’t know. I don’t think 8 is that late. AN: Yeah, maybe 8 isn’t that late. Now saying it, it sounds respectable, but it felt late at the time. AVC: I used to make cassette tapes of songs off the radio. 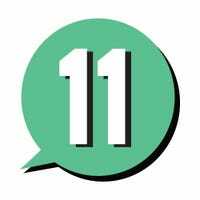 AN: Yeah, I would tape the entire top 10 countdown every night. I don’t know why. Some kind of unnecessary catalog. AVC: Do you still have the tapes, or are they long gone by now? AN: I’m sure they’re in a box somewhere. I have a box at my parents’ house that they’ve been asking me to go through for years, so hopefully they might turn up in there. I would love to listen to them. I do remember it was during the Gulf War, and every night, during the top 10 countdown, people would be dedicating songs to family members who were overseas. AVC: Like, they’re all in Queens now? AN: Right. Like they couldn’t even stay just to haunt a place. Then I started thinking about if that meant there were trust fund ghosts, and I got sort of sidetracked in my own brain. AN: Yeah, sort of like that. Also, I don’t think I’ve ever seen a ghost, but I did do this weekend conference once with some other comedians at this manor in the Poconos that was known to be haunted. We were in someone’s room reading Yelp reviews about the place and they were like, yeah, specifically this room is haunted, and they said a room number, and one of our friends was staying in that room. I had to sleep with the lights on. It was just too much. AN: Another thing we noticed—I don’t even know if it’s ghosts but it’s definitely disturbing—is that they had old black and white photos on the walls, and in my room, there was a photo on one wall. And then someone realized it was the exact same photo on both walls. AN: It was weird. I was like, why is this so scary? It seemed like it was creating some sort of time portal or something. 5. If you’re only allowed one condiment for the rest of your life, which one would you choose? AN: That’s a good one. I was really into ketchup growing up, but I think I’ve now segued into hot sauce. Specifically, Tapatio or Cholula hot sauce, because the range of things that they can go on is just endless. AVC: Cholula is my favorite. I love that one. AN: There’s clearly a difference between Cholula and Tapatio, but I don’t know if I could pick a favorite. AN: In standup, it’s when I do a show, and then I’m leaving the show, and there’s only one exit. This happened to me recently—I was leaving with people who just saw me [perform], and then we all had to ride down in the elevator together. I hate it because I feel like it puts everyone in a weird position. I feel like they might feel like they have to say something about the show, but they really shouldn’t feel like they have to comment on it, because I really don’t feel like they should. It just then creates this pressure and I always find it so uncomfortable. AVC: Did that particular set go well? AN: Yeah. But then that adds another layer. If your set goes well, then you’re like, “Well, I hope they say something.” But if it goes bad, then that’s even worse, because then everyone just feels strange. AVC: It’s weird either way. AN: The longer I do comedy, the more I realize that even positive feedback can be hurtful because people will always add a weird backhand to their compliments. I would rather have none of that information. AN: They’ll be like, “I really love your set. You remind me of Christopher Walken,” which is a compliment, but I don’t know. The way they said it doesn’t sound like a compliment, even though I think they meant it that way. AVC: Yeah, I feel like that’s one that would stick. AN: You’re just like, I don’t know how you got to that, but now we both have that information. AVC: I was a very timid child, so that would have never occurred to me. I would have been too scared. AN: Oh, I was a very timid child too. I don’t think there was any way I would have actually gone through with it. As a child, I lived a lot in my head, so it was more that the idea of being a firefighter was cool. But I was openly afraid of fire until a pretty advanced age, so I don’t know what I was thinking. AN: I’ve been watching things on my computer in hotels. I can’t actually remember the last time I turned on the hotel television. It strikes me as kind of strange that it used to be a no-brainer that you would just go into your hotel and just turn on the TV to see what was on. But now I watch everything on Netflix or Hulu or YouTube, or I download something. I don’t even think about turning on the TV, which is very jarring. If I do, usually it will just be something like Law & Order: SVU. It’s very strange to be like, “I’m going to unwind and watch SVU, but there’s a weird relationship I’ve developed with the show. AVC: A lot of people have that, I think. AN: I know, but it’s still kind of bizarre. I can’t go to bed until I’ve seen the court case. AN: I do. I think our society tends to conflate the person with whatever they create, but I do think you can take someone’s art independent of who they are as a person. I feel like sometimes where you run into trouble is where we’re like, “Oh, we should adulate this person because of their art.” I’ve always felt like we can adulate the art, but you don’t have to like the person. Pretty much everyone is a mixed bag of good and bad, and I think it’s so reductive sometimes to be like, “This person is completely a monster or completely a saint,” when so many of us are shades of good and bad, and everyone makes mistakes. So I just think with art in general, we shouldn’t tie it completely to the artist. I do think when it turns into monetization, where it’s like, should we buy this person’s art if they are a known—I don’t know—I think that’s a personal decision. Hopefully you would be like, “I don’t really want to support that.” But taking their personal life into consideration in terms of evaluating the actual art, that feels a little more dicey to me. AVC: Have you been asked that question before? AN: [Laughs.] It’s just something I’ve been thinking a lot about with the moment we’re in. But I’ve gotten into discussions about it a lot. But then the person directing them was someone I was a huge fan of and whose work I really admired, so I was kind of like, “If he’s doing it, maybe it’s okay.” Then in the end, I couldn’t justify it to myself. I even talked to this director on the phone, and he was like, “I totally understand if you don’t want to do it.” But everything we do in a sense is complicit in capitalism and the capitalist structure, so it is in the end a personal decision. I did get very tormented by what to do, but in the end I didn’t do it. And I don’t think it’s always about taking a big vocal stand. Sometimes it’s your own thing that helps you navigate the world, to be like, “Would I feel good about myself if I did this in the long run?” Because in the end, you’re really only accountable to your own brain. AN: Oh, man. And I guess you could only work with the ages you’ve actually been up until now. AVC: Well, no one’s brought that up. AN: I guess I could pick one that I haven’t been. I’m 35, and I don’t know if that’s officially middle age now with our current life expectancy as humans, but it’s closer to middle age than not. And I do think the older I’ve gotten, the less I have cared about what other people think and saying “no” to things, and I’ve been more comfortable with myself at the end of the day. So I would be okay with being 35 for the foreseeable future. I know some people do choose to do that. AN: That’s a doozy that she gave me. I think I would say, pick something that you’re interested in or you like that fits into the entertainment genre. Don’t worry about exposure. Just work on getting good at it—not the attention aspect [of show business], but just getting good and figuring out if you like it or if you like something close to it. And then later worry about people seeing you, or knowing who you are. I do think there is an emphasis these days on getting attention first and then figuring out what you’re doing, but I still adhere to the model that it’s worth getting good at it or finding your feet first before having all the eyeballs on you. AVC: What’s a question you would like to ask the next interviewee, not knowing who it is? AN: It’s something I’m always too scared to do, but—if you went to a psychic, what question would you ask them? AVC: What do you mean, scared to do it? AN: I think I just worry that they’ll be like, “Oh, you’ve got two years left. Make the most of them.” I don’t think they ever get that specific, but I don’t know. I’m like, do I need to know about the future that bad?